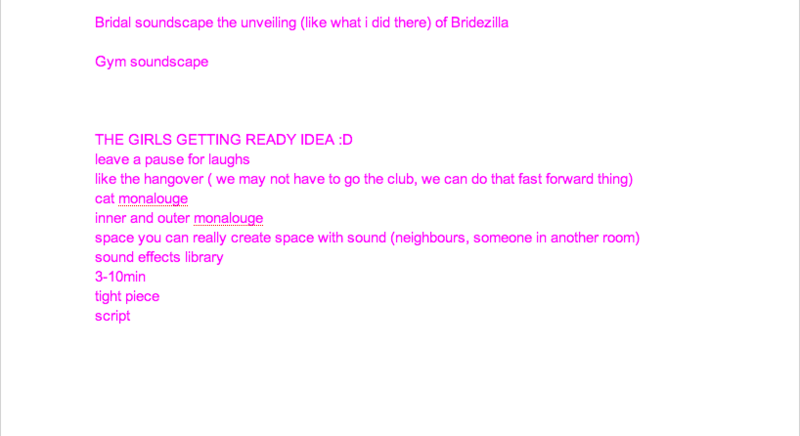 This is the Google Doc that Ezra and I had started, the pink writing are some of the ideas that I had come up with. I love drafting it is a great process, I love getting all the silly ones out there and realising that they’re aren’t so silly. If we didn’t do the original poem, than I would have loved to do the ‘girls going out’ idea with inner monologues. It would have been a fun and completely different experience, it would have also been a challenge and something I would have liked to have done. 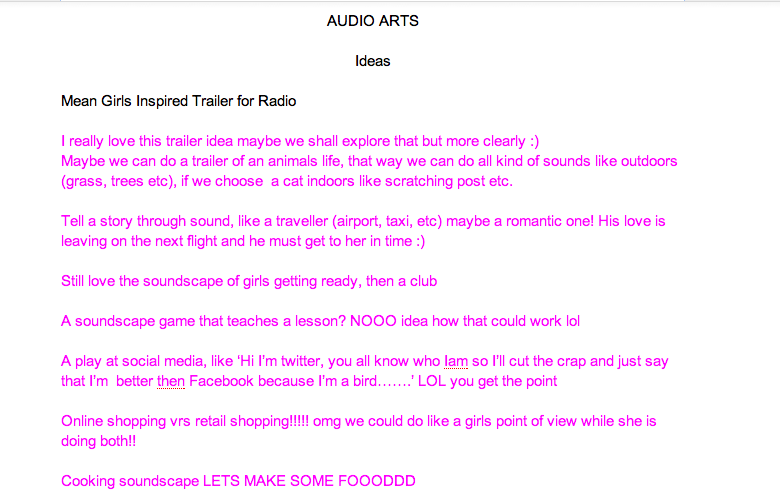 The sounds we could have created would have been great like bottle opening, make up related sounds, hair dryer etc. I would have also liked a further comedic element like my cat have a monologue, that would have been great! The poem was inspiring, beautiful and relatable. I enjoyed working on such a unique and original piece which aims such a positive message to everyone.